This week, Vietnamese and Lao defense officials held yet another round of consultations to discuss ongoing developments in the security realm of the relationship. The meeting was just the latest in a series of interactions between the two neighboring Southeast Asian states that gave a sense of cooperation in this area in 2018 and beyond. On a Saturday morning in central Laos, two boys were playing along a road when they picked up what they thought was a small ball. Three girls who were out tending to buffaloes happened to pass by and stopped to take a look. That was when the “ball” exploded. 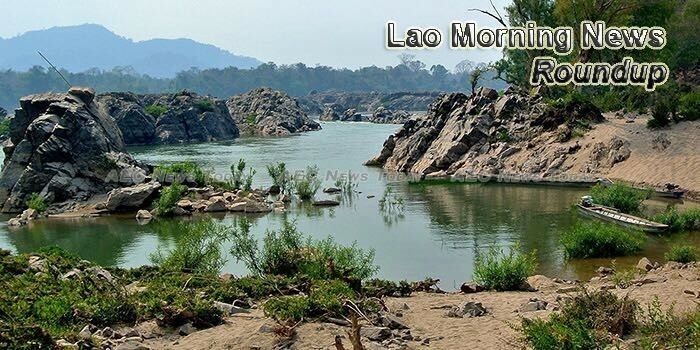 Places of scenic and cultural interest are the top draws for people visiting Laos, while the capital Vientiane tops the list of places visited by foreign tourists, according a 2017 statistics report. China and Laos have pledged to boost cooperation on law enforcement and security and maintain regional stability. As part of its commitment to promoting women’s leadership in Laos, the Australian government has supported 10 high-achieving women from Laos to participate in the 2018 Global Summit of Women in Sydney, Australia, which brought together 1,000 women leaders from around the world between April 26 and 28 to discuss methods to accelerate women’s global economic progress. Vientiane police have rearrested three men who were awaiting trial after 10 accused men and one prisoner recently broke out of a detention centre in Dongsavath village,Sisattanak district.